Director of the Tropical Aquaculture Lab, Craig Watson, inspecting newly arrived yellow tangs with biologist Christine Creamer. 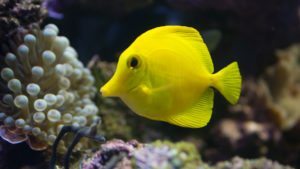 We added 21 new yellow tangs to our holding tanks today. 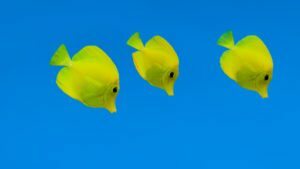 This makes 28 yellow tangs that we hope to begin conditioning for reproductive work within the next month. 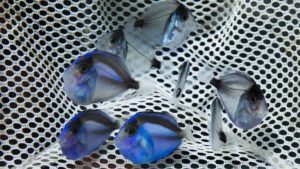 Once our new greenhouse is operational these fish will be moved into tall cylindrical tanks equipped with egg collectors. 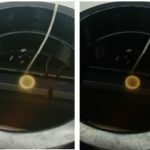 We believe the seven yellow tangs acquired from Seaworld Orlando are spawning in the holding tanks and we remain optimistic that the new found stock will increase egg production significantly. 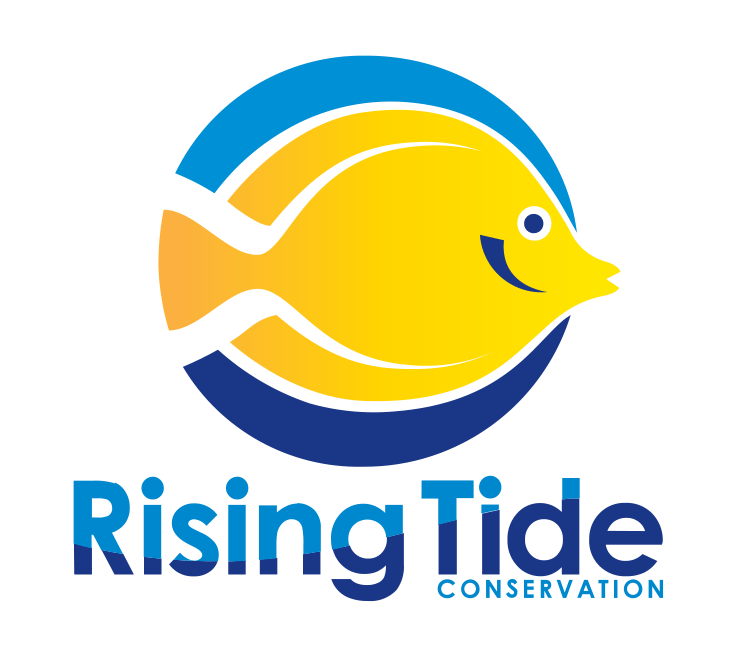 This is one of the Rising Tide Conservation model species and one we hope to make strides with in the coming year. 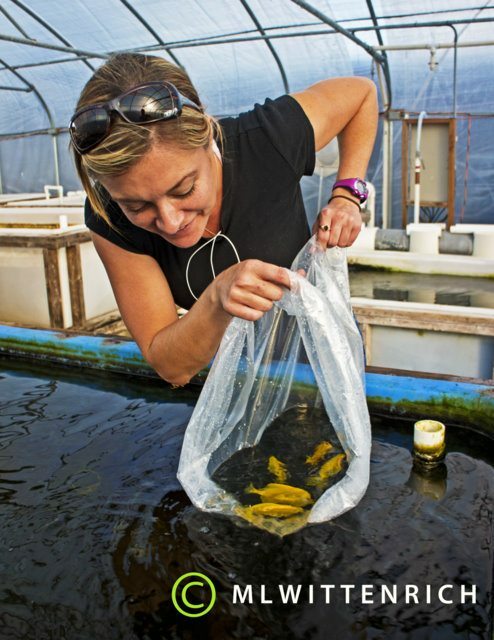 Biologist Christine Creamer releasing yellow tang broodtstock into a holding tank at the University of Florida’s Tropical Aquaculture Laboratory in Ruskin, Florida.